Interest rates are rising. So are oil prices. We'll ask Kate Moore, chief equity strategist for BlackRock, on Wednesday's "Markets Now," live from the New York Stock Exchange. Moore recently predicted that American banks stand to benefit as Federal Reserve raises rates and a Republican-controlled government cuts regulations. 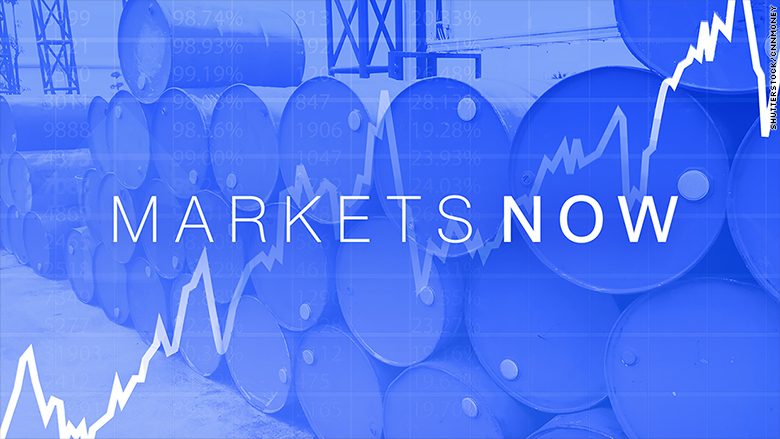 The oil market and some stocks were rocked Tuesday by President Trump's announcement that the United States will pull out of the Iran nuclear deal. We'll ask Moore what it means for your portfolio. We'll also talk to Mike Novogratz, CEO and Founder of Galaxy Digital Capital Management, a cryptocurrency bank. Novogratz, formerly a hedge fund manager at Fortress Investment Group and Goldman Sachs (GS) partner, said in 2017 that he invested 10% of his net worth in digital currencies. Moore and Novogratz will speak with CNNMoney anchor Maggie Lake.